Every great hero has a great villain. Batman has Joker, Flash had Reverse Flash, Green Lantern has Sinestro, Aquaman has Black Manta etc. Due to their popularity, many of comics containing their first appearance are quite valuable. So, it makes sense to see if there are any undervalued villains who are nemesis of one of the great super heroes who is about to get her own movie: Wonder Woman. 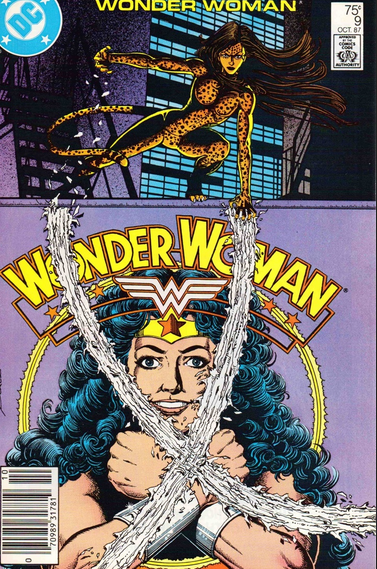 Cheetah is probably one of the most well known nemesis for Wonder Woman. Indeed, the first appearance of this character in the golden and silver age are already expensive books. However, are we barking up the wrong tree? Out of the 5 people who used the name of Cheetah, the most famous is probably the third character: Barbara Ann Minerva. I am not making an assumption here. Simply go to Wikipedia or other sources and see the amount of information on Barbara relative to the other Cheetahs. There is just so much history between her and Wonder Woman, relative to the rest. In addition, the New 52 uses her as Cheetah rather than her predecessors. So, what does this tell you? If the Wonder Woman movie uses Cheetah, it is going to be Barbara. Period. Now, many of you might already get this and agrees that Barbara Ann Minerva is probably the best Cheetah. So, is her first appearance hot then? Surprising no. That is where the opportunity lies. The book I am recommending below are still in dollar bins and you should grab them while they are still inside. Editor note: I actually mention this book last year as shown in my Dec haul picture here but I thought it deserve a separate entry because it is such a key book. 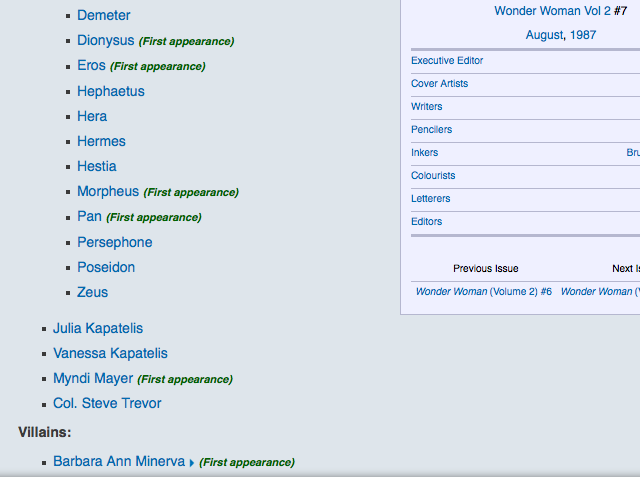 If you go into any Wiki and look for Barbara Ann Minerva first appearance, they will tell you it is Wonder Woman Vol 2 #7. It is not wrong but this is not the issue where she transforms into Cheetah. That is in issue #9. Remember, Cheetah is what makes Barbara Ann Minerva interesting and not the other way around. If there is no Cheetah, will you care for Barbara Ann Minerva and her appearance in #7? As proof that the transformation occurred in #9, here is what wikia says from #7 to #9. In issue 7 and 8, the villain is always Barbara Ann Minerva. Only in #9 did the name Cheetah appears. This is a strong indicator #9 is what we are looking for, and not #7. Of course, I also took the trouble of looking into the issue itself and below are the actual panels of her transformation. 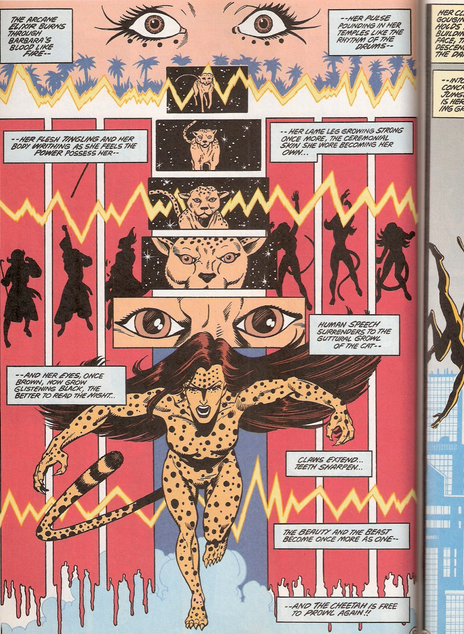 Very clearly, the panels show her transformation into the Cheetah we know today. By now, I hope I have convinced you how important this issue is to the story of Wonder Woman and why it deserves better recognition. Sometimes, it is just plain laziness on the part of comic collectors that makes such an situation possible for us to take advantage of. Nobody will analyze who is the more popular cheetah and where the transformation took place. Most just read what is on wiki and off they go. Investing in Barbara Ann Minerva as Cheetah is a no brainer. She is the nemesis of Wonder Woman and her first appearance figures her on the cover. 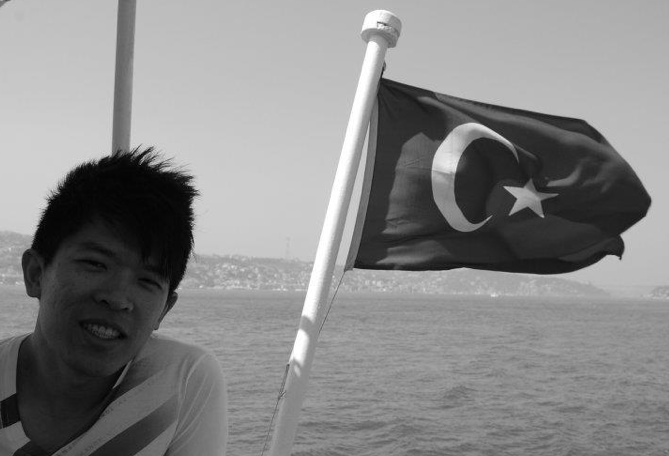 Best of all, it is cheap! Don’t wait until everyone starts noticing before taking action. If you agree with my analysis, here is your Ebay link to start looking for copies to hoard. I love to hear your commends on this.